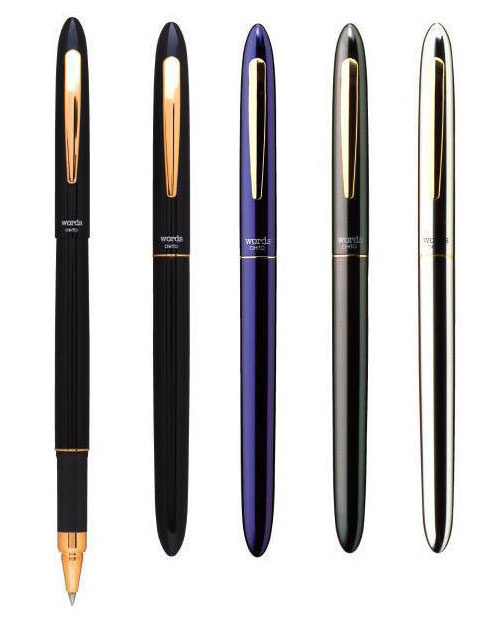 Expensive-looking pens with classic design features – cigar shaped, capped, gold trim – are often thought of as executive pens, but despite having this classic aesthetic, the Ohto Words rollerball is really more of a mid-management pen. Don’t mistake that as a negative, however. 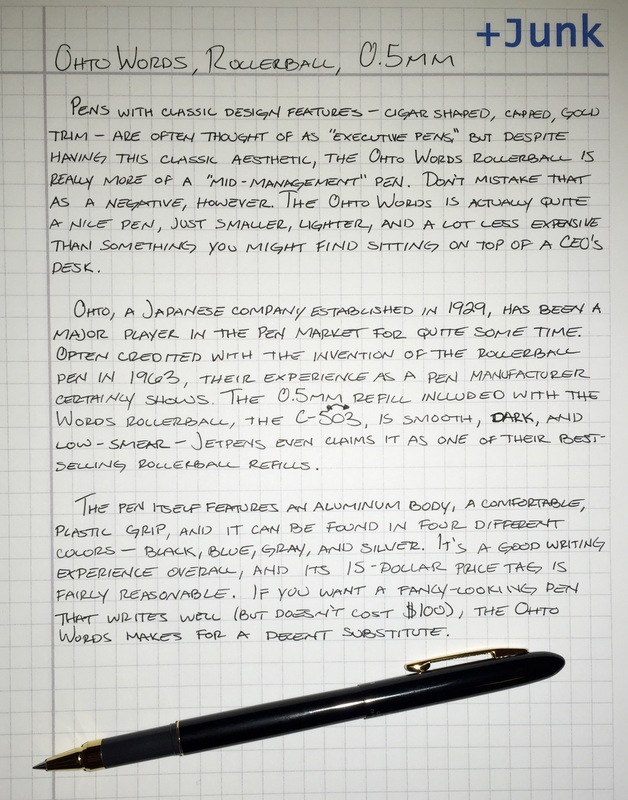 The Ohto Words is actually a good pen, just smaller, lighter, and a lot less expensive than something you might find sitting on top of a CEO’s desk. Ohto, a Japanese company established in 1929, has been a major player in the pen market for quite a long time. Often credited with the invention of (water-based) rollerball ink in 1963, their experience as a pen manufacturer certainly shows. The 0.5mm refill included with the Words rollerball, the C-305, is smooth, dark, and low smear – Jetpens even claims it as one of their best-stelling rollerball refills. The pen itself features an aluminum body, a comfortable, plastic grip, and it can be found in four different colors – black, blue, gray, and silver. It’s a good writing experience overall, and its 15-dollar price tag seems fairly reasonable. If you want a fancy-looking pen without having to spend a hundred bucks, the Ohto Words makes for a decent stand-in.